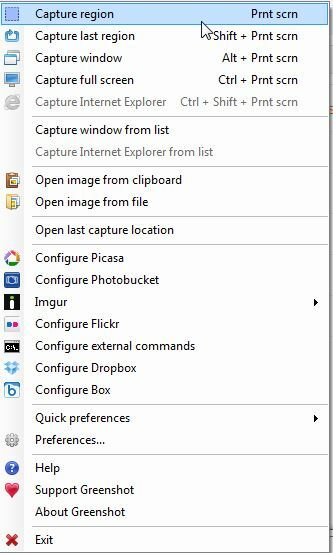 If you are a blogger, tech-support or teacher then you might have felt a need to a better "screenshot tool" than Microsoft's inbuilt default snipping tool, although snipping tool certifies needs for primary users. Capturing and saving a screenshot and adding highlights and marking things with a pen, that's all Snipping tool can do. But I think for content developers, tech support guys and geeks there is more need for a right screenshot tool not just to capture screenshots but also editing them in advance level and uploading them directly to clouds for sharing purposes. 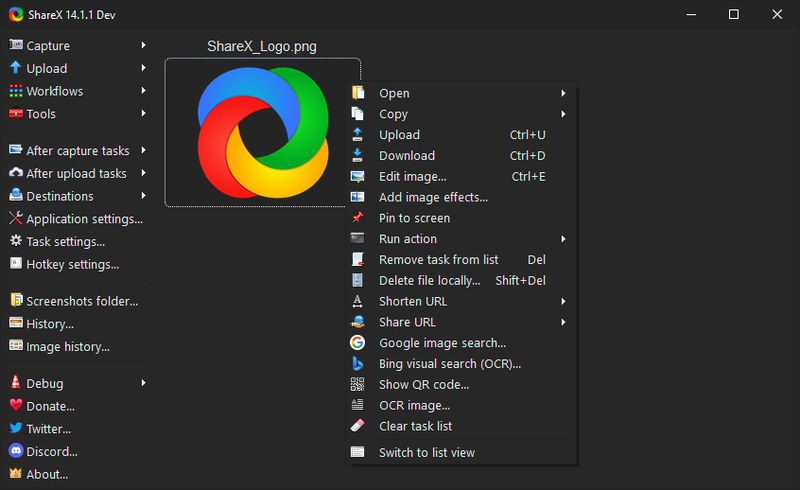 Some screenshot tools capture full window screenshot and selected portion as well. This screenshot can save your time in editing images and upload them to cloud with a single click. Greenshot is a perfect screenshot tool for beginners and provides some image hosting services which can be configured and used to upload captured image with one click. You can set up Google account, Photobucket, Imgur, Flickr, Dropbox and Box. Greenshot can help you by creating custom shortcut button from preferences, or you can use default shortcut button. Capturing a region, Capture last occupied region, Capture window and full screen is very easy with Greenshot. It also features clipboard feature so after capturing an image you can copy it to clipboard and paste in a program you want to edit. Image editor of screenshot feature Windows paints style environment with basic editing tools that are perfect for beginners, bloggers and tech-support usage. You can download and see various tutorials about this free screenshot tool. Lightshot is similar to Greenshot and completely free, and it is also available for Mac devices and works smooth on all version of Windows operating system. One great thing about Lightshot is direct editing tools option from screen capture screen and one click upload option to its screenshot hosting websites. Jing is a free screenshot tool from TechSmith and screen recorder as well. Jing let you record up to 5 minutes of your screen video. You can share video or export it for further editing. ShareX supports screen recording along with screen capturing and has an inbuilt MS Paint style tool as well. All above-listed screenshot tools have hotkeys support and let you capture portion and full screenshot as well. I found all three of them very useful and productive and they all are free to use. They can be the good alternative to default snipping tool on Windows.